Entrepreneurs are the new rock stars. But similar to an episode of Behind The Music, it isn’t always red carpets, exotic trips, red M&M’s and glamour. No one ever wants to know what it feels like to sit in a recording studio for 12 hours straight laying down a tambourine track. Sometimes even rockstars need an escape of their own. The truth about entrepreneurship is that it can be more accurately compared to the explorers of old. This often means sailing your ship into uncharted territory, to areas of the map marked only by the word “here be dragons.” Faced with unexpected storms (hopefully not scurvy) and the potential for rocky seas, it can be easy to ask yourself why you ever left the security of land. Sometimes you just wish you could let someone else pilot the ship and escape off to a deserted island. 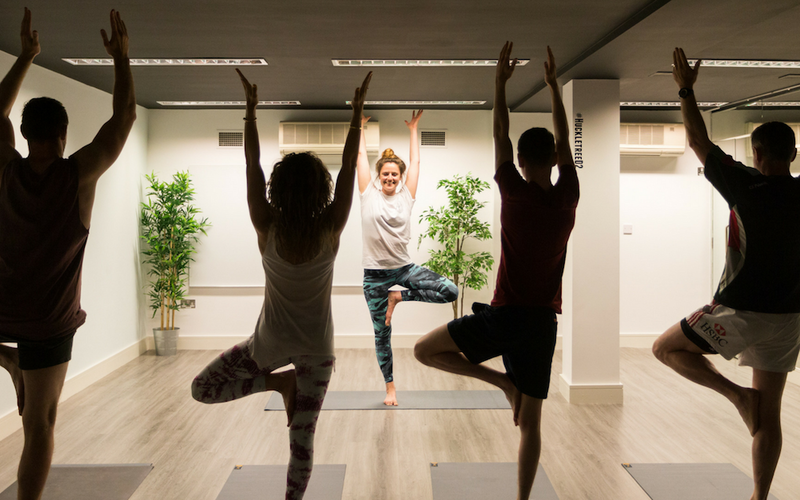 At Huckletree D2, we’re big believers that everyone needs a temporary respite from time to time. Sometimes it is the simple, day to day solutions that allow us to arm ourselves against the coming tide. The subtle practices that keep us grounded in the reality that we love the work we do and the life we’ve created for ourselves. Sometimes you just need space from being in your own world or a change of perspective. Once a month we host our VOXBOX: Founders Breakfast, where founders in our community have the opportunity to meet over some breakfast and spend a little time seeing what it’s like to be in someone else’s shoes for a change. One of the best ways to complete a successful voyage is to learn from the mistakes and successes of more experienced and wiser explorers. And when even the avenues for escape at Huckletree aren’t enough, Dublin itself is here to pick up the slack. We’re located in one of the greatest cities in the world and within a five minute walk of some of the most beautiful and distinctive spaces in Ireland. Stressed about that product launch? Need a break from your fundraising deck? Or require a change of scenery? Why not hit the streets? Dublin is home to some of Ireland’s richest history, The Book Of Kells sit just meters away in Trinity College. The cobbled streets of Temple Bar attract people from far and wide, too. Take a walk to St. Stephens green, clear your mind with a stroll by the Quay or absorb the bustle of Grafton Street. If you’re somebody who would rather explore the future, visit the Science Gallery to discover mankind’s most fascinating technological breakthroughs. Sometimes it can be the small things that make a difference to your peace of mind. Work from the zen garden for the day, have a morning cup of coffee or an afternoon drink on the roof and overlook the gorgeous Dublin skyline. Confront yourself with the fact that this is your life and it is incredible. If the beauty of the city by day cannot satisfy your need for clemency, you may require a night of Dublin’s most acclaimed nightlife. Should you need a recommendation or even a companion why not come for a tour, stay for a pint and meet a new friend?